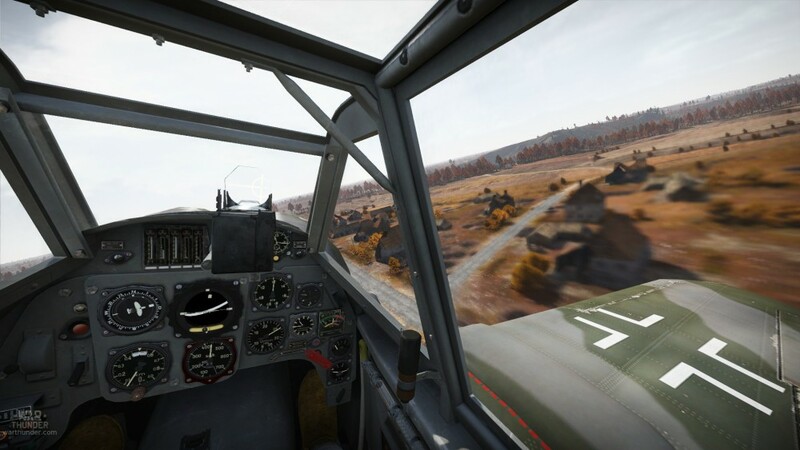 Very soon we will be making some changes in the rotation and line-ups for combined ground and air battles in SB. Now players will have 2 event options available: first - 1 of 6 variants for basic rotation (ranks I-IV) and one of the additional 2 variants for rank V vehicles (1 per day). Thus players will have more available vehicles. [rank 1] [ranks 2-3] [ranks 1-2] [ranks 3-4] [rank 3] [rank 4] etc. One step is 24 hours, since there are 6 steps, each week the specific steps will move naturally to a different day of the week. Additional variants for rank V will be changed once a day - with two steps total. We are waiting for your constructive feedback! Just another guy interested in military aviation. Interests:aviation, military and especially military aviation. But to subject at hand - I like it. I understand difficulty in allowing German Mig into the mix but I'd like to see it (check above). Also - Why not allow japan Sabre into the "west" team? Probably because Japan doesn't have its Ground Forces yet. Similarly, the UK didn't have its aircrafts in combined SB until their armored units have been introduced. Should you add the Conqueror and Centurion mk.10 to the last lineup? I know that this is most likely the reason but ... why not change it? Hello, any news about implementing some sort of a quantitative matchmaking ? One of the problems in this mode, is that a lot of people are playing the same tank. Sounds like a very nice change While I really hoped for low tier battles for every day (tier 1 and 1-2), this might be actually as good as it would had been. Please add non-strategic bombers to the lineups. Well goodbye Enduring Confrontation. I can guarantee you that all the jet SB players will be hopping over to combined arms now to avoid the broken mess that is enduring confrontation. dude, they are playing with us for a several months now. If you make it 3 event options for combined sim then you can avoid having every match involving all 4 nations. I'd like to get a combined arms where its british vs germany only or russia vs germany only and the choice of units is less scattershot, instead you can bring the choice of vehicles in a bit closer to what it was like during the chronicle events and less everything + the kitchen sink. i just wanna drive my M60 against soviets again. Can i ask where is the M41A1? Definitely a step in the right direction to give people something to play while rank V stuff is up! Good one! Evidently an early-war event, roughly 1940-1941, where Germany has a very strange total air superiority with Bf 109 E-3s and E-4s, Bf 110s, and MC 202s against Hurricanes and I-16s. A BIG PROBLEM IN THIS EVENT IS THAT THE AA GUNS HAVE HVAP/APCR! THEY ABSOLUTELY WRECK HALF OF THE TANKS IN THE EVENT FROM THE FRONT. REMOVE HVAP FROM AA VEHICLES SO THAT THEY AREN'T THE PREMIERE CHOICE IN THE EVENT SIMPLY BECAUSE AP SHELLS PASS STRAIGHT THROUGH THEM WITHOUT DETONATION, AND BECAUSE THEIR TURRET TRAVERSE IS DOUBLE THAT OF THE ACTUAL TANKS. Event appears to be in general a 1941 to 1942 event. Several sensible planes missing, some "too good" included. For some completely (and I mean COMPLETELY) impossible-to-understand reason the event even includes the P-47D-25 (which BOTH is best ground attack plane in the entire event, and so good as a fighter it is on par with Germany's best, AND is from 1944)!!!!! The mode too brings disproportionally powerful fighter-bombers considering the armour of the tanks (most notably good Typhoons), as well as including fairly late-war fighters for no real reason. It feels weird when most of the tanks are from 1941-1943, and the planes are from 1942 to late 1944. 1944-event here. Starting to get hard to decide what is too good on the ground now too (looking at you, SU-100! ), but overall this event is pretty good. Difficult with balance between number of spawns though, and advantageous/disadvantageous spawn positions is REALLY noticeable with the extreme sniping power that this rank includes. There are however a couple of planes that have a way too good combination of ground attack capability and fighter performance, even though they aren't necessarily later in date of use than other planes in the event. Tricky thing with especially the IL-28. It feels BRUTALLY overpowered for the event since its massive 3000kg bomb can wipe even the heaviest tanks off the map and clear entire cap zones. Especially since armour goes DOWN with top tier tanks (MBT concept) compared to earlier heavy tanks. The MiG-15s certainly have enough payload with 2x 250kg bombs to act as good ground attack, the IL-10 can hit more targets with a higher count of ground attack munitions. Maybe the Tu-2S variants should be added to give harder-striking ground attack that wouldn't be too OP at that tier? They were certainly in service in Korea. top tier event, brits: there is a Chieftain, Conway but no Conqueror. Logic? You shouldn't take ALL thier AP ammo. But i'm pretty sure that 5-10% of maximum load could stay as AP if they need to defend themselves from spawn camping enemy tanks. So they will not be defenceless but such small amount would not let them charge tanks. And i don't think it would be difficult to code and implement. Actually i think that should apply to all ranks AAA. So they fulfill they primary role - anti AIRCRAFT. Did they make the Cold War events 16v16? This is a step in the right direction. I'm looking forward to playing these new rotations. you should just make HE belts standard (not mixed) and AP belts in SPAA very, very expensive so that you won't earn money with them for once. They should be for self deffence only. This looks rather nice (too good to be true, in fact) - thanks! Wonderful! I once had a long sugegstion about exactly that, and I'm very happy it's been taken care of!!! Many thanks to the devs's! What I'd still like to point out though - maybe for future consideration - is that Mixed Sim would also benefit from sepoarating the Teams even more: Today and with the new, much appreciated rotation, Allied Teams consist of vehicles of all three allied nations, but it's not very realistic to find a battlefield where all those Aliies also fight together (ok, one could argue with lend-lease vehicles on the Eastern front, but also that was quite limited...). well said. In fact early jets (especially German ones) should be totally removed from "1950" version of Cold War. -Same is true for Ar-234. BTW - we have Ho229 prototype but operational Arado fast bomber is missing. Well at least its slightly better than before... still mostly nonsense though. No doras in late war, no early or ww2 jet event, PT76 and ASU 85 cold war tanks still in WW2... but hey Tiger E and Panther 2 are where they should have been long ago. So about 10% better than before. I give simulator line ups 4 out of 10 marks, crappy but bearable.